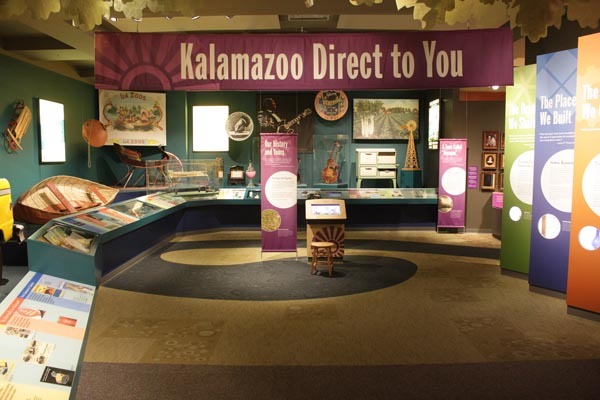 KALAMAZOO • DIRECT TO YOU: We recently finished the installation of over twenty interactive exhibits for the Kalamazoo Valley Museum; they ranged from motion sensing video triggers to audio histories, and touchscreen deep dives into the history of Kalamazoo. 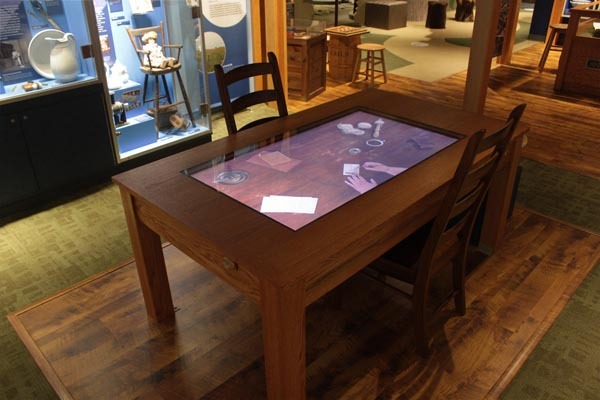 Included in the exhibit is a motion-sensing “Farm Table” that has a top-down video playing on a 56″ LCD monitor video embedded in the table. The videos illuminate activities that occurred at a typical farm table at during the late 1800’s in and around Kalamazoo, MI. 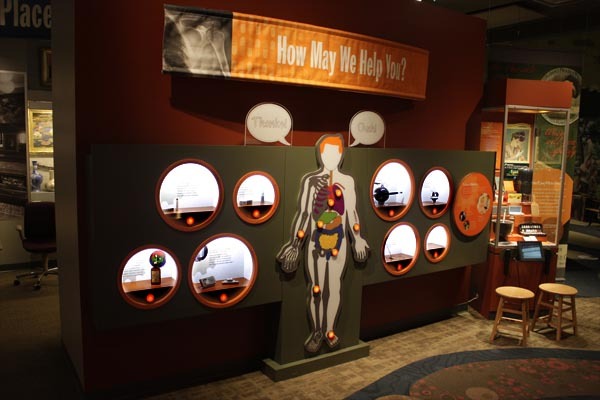 “HOW MAY WE HALP YOU?” QUIZ GAME: Various products created in Kalamazoo were linked to different areas of the body that they helped. The visitor could choose either one, and try to match it to the correct partner. 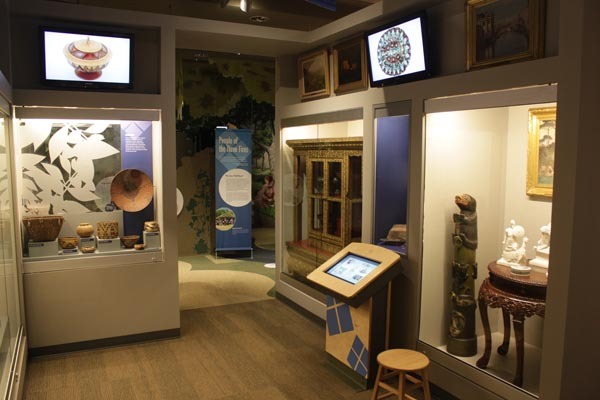 INTERACTIVE KIOSKS: Throughout the museum were interactive touchscreen kiosks that gave visitors a chance to explore a wide range of historic photos and film clips with accompanying text. The kiosks focused on a wide variety of life there, from early recreation to fire station history. THE CLOCK TOWER: This was the most technically complex exhibit that we created for the museum. 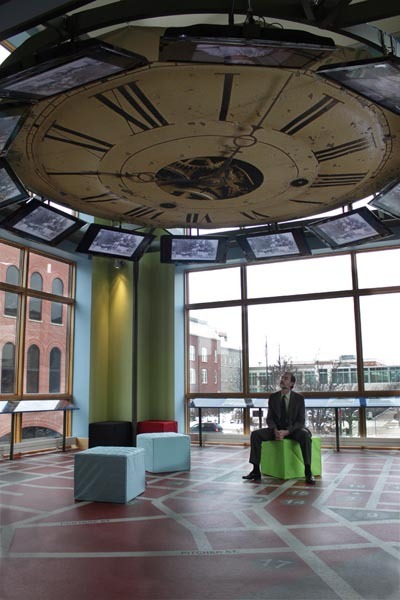 12 47″ LCD monitors are hung in a circle in the large front tower of the museum. Starting at 12 o’clock, an image or video clip replaces the one already present every second of the day. On the hour, the images swirl around the clock in a wide and varying pattern, notifying the visitor of the hourly moment. Each monitor is driven by a networked computer that is synchronized with a custom program. The museum staff can update the images and videos at any time, featuring current events in the museum and the city beyond. 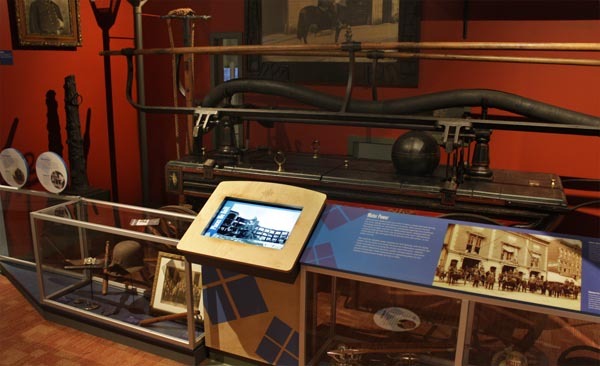 THE FARM TABLE: This exhibit had motion sensors attached to the table and as a visitor approached the table, the monitor would come alive with scenes of life around the kitchen farm table in the late 1800’s in Kalamazoo. THE MUSIC HERITAGE: Using push-button audio clips and video stories, the history of music instrument making is told. 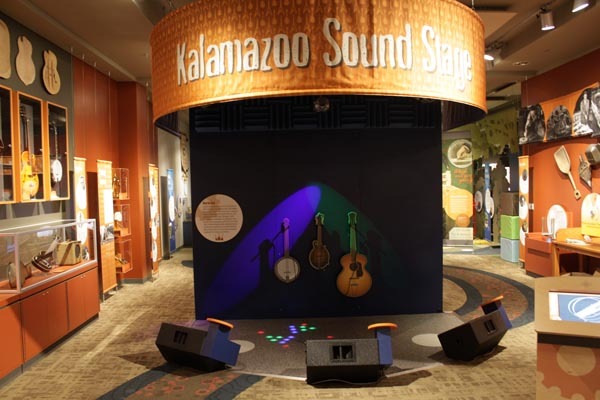 THE SOUNDSTAGE: This exhibit gave the visitor a chance to “play” some acoustic instruments together in a band. 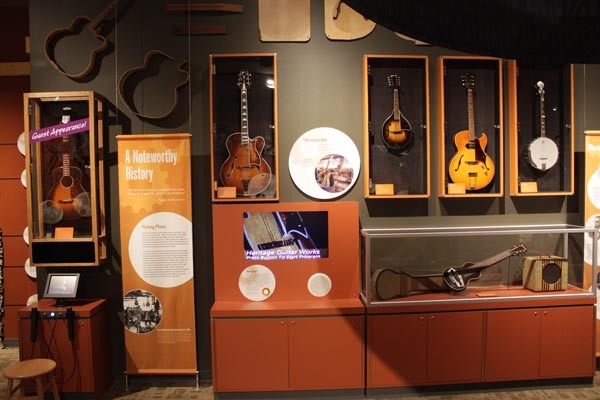 Using RFID technology we created an exhibit where the user could plug any instrument into any speaker and the track for the song playing would turn on, in sync with the song, and play along until unplugged. 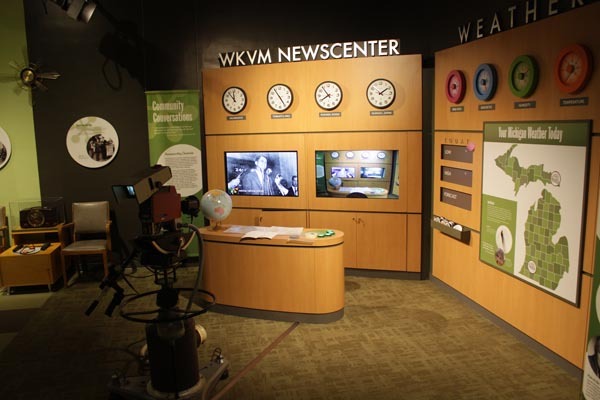 WKVM NEWSCENTER: Here, a visitor could choose a news clip to “broadcast” and then have their friends run the the TV camera to see them deliver a news or weather show based on provided scripts and background footage. The footage on the video monitor changes, depending on the script they choose.